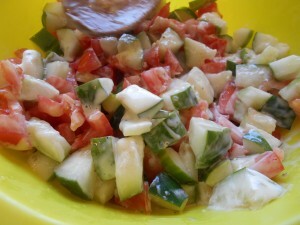 The children made a yummy salad with the cucumbers they picked out from the garden. 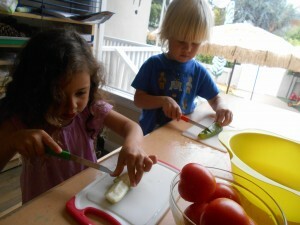 They first washed their hands. The children then washed the cucumbers and tomatoes. 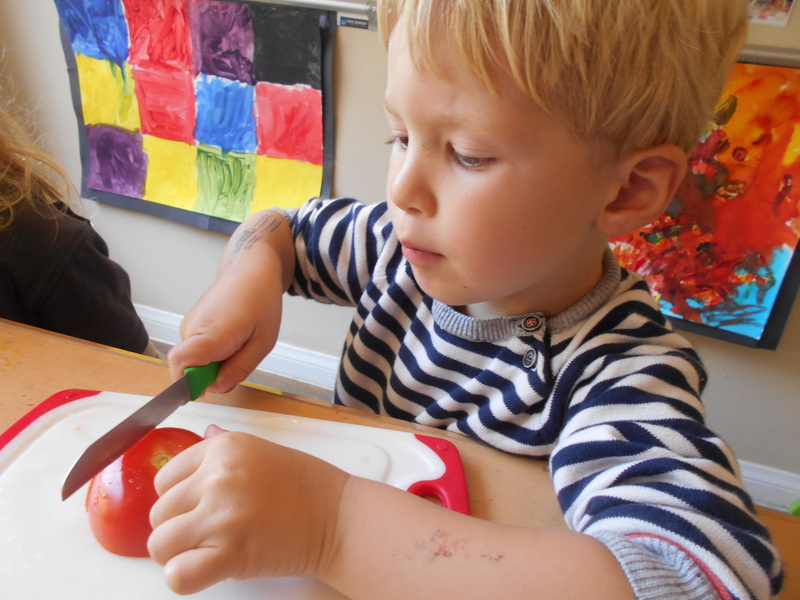 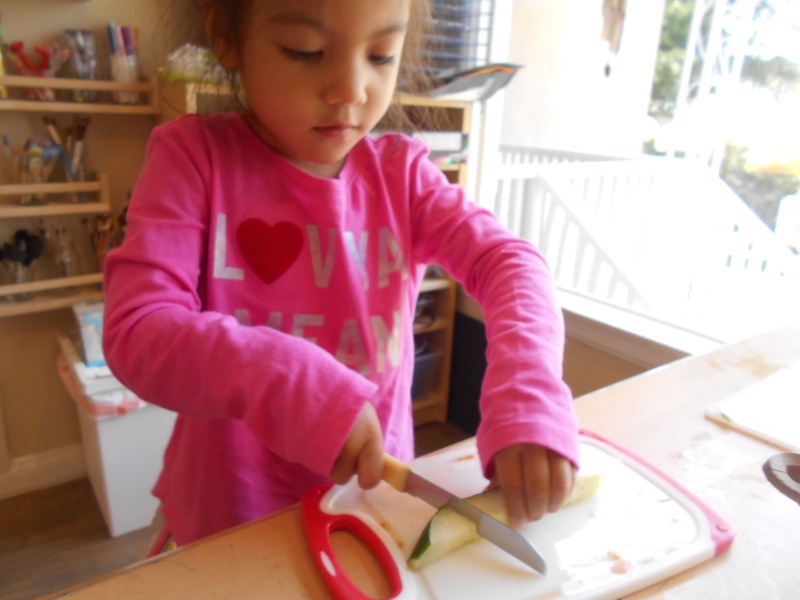 The children talked about safety when using a knife. 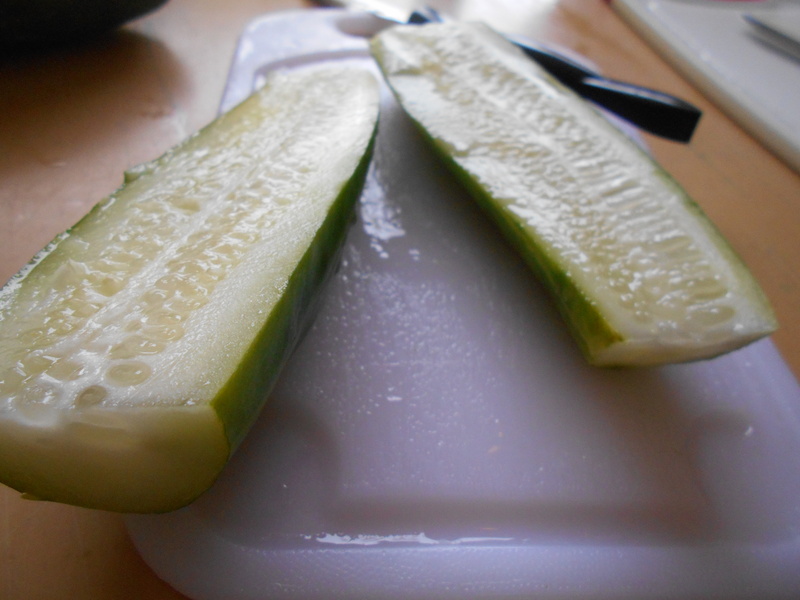 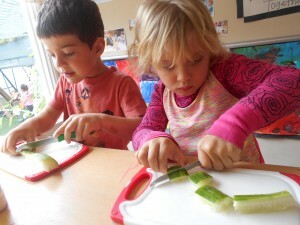 The children were ready to cut the cucumbers the cucumbers into small squares. 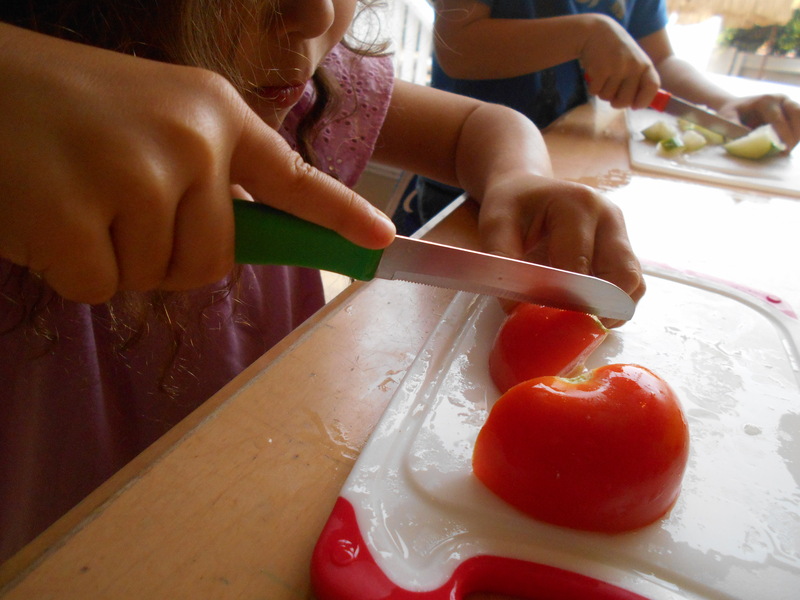 The children then cut the tomatoes into small pieces. 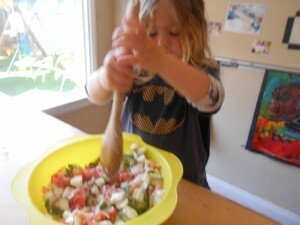 They mixed it into a bowl with ranch and it was ready to eat!